Carriage mounted roll prongs are recommended for fabric, carpet, vinyl, and other similar products which are supplied in rolls. Tapered tip for ease of entry into the product being handled. 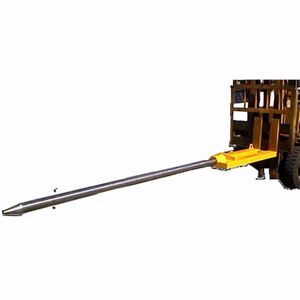 Forklift Carpet Poles are manufactured from high tensile steel. Safe Working Load of carriage mounted roll prongs will depend of prong type and length.